It's not as embarrassing as the time they left the stage after being pelted with pigeon dung, but Kings of Leon have once again been forced to cancel a show at the last minute. This time, the mega-famous rockers axed a gig at London, England's O2 Arena after a fire engulfed two of their tour busses. The busses were parked outside of the arena this morning (December 21) when the fire broke out. The CBC reports that the blaze started on one bus and spread to the other, resulting in both vehicles being destroyed. About 60 firefighters were deployed and six people were treated for smoke inhalation on the scene, but no one was seriously injured. By the time the fire was contained, it was too late to go ahead with the show. A message on the O2 Arena website reads, "Whilst there is no damage to The O2 there is now insufficient time to rig the arena for tonight's performance." 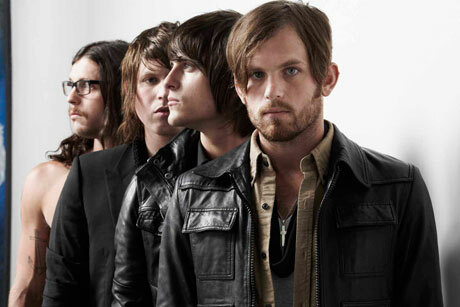 The performance was to be Kings of Leon's final show of 2010, as it comes at the end of a UK arena tour. It will be rescheduled for a later date.